The title of this article evokes a key, but often missed question: how effective is your process for disinfecting your cutting tools for orchid viruses? We have used bleach, flaming, and Physan for years, and I assumed that they were completely effective in removing virus particles from our shears, Exacto blades, pots, and working surfaces. A great expectation that I have come to realize was probably very inaccurate. 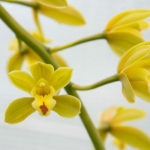 In a talk at the San Francisco Orchid Society, Dr. Kay Klausing, a molecular biologist and orchid grower, reviewed scientific studies of the common disinfection methods for orchid viruses, specifically Cymbidium mosaic virus (CymMV) and Odontoglossum ringspot virus (ORSV). The research examined numerous common approaches, including flaming tools, and soaking in saturated TSP, diluted NaOH (lye), Physan, and isopropanol. Stunningly, none of these were found to be 100% effective for the inactivation of orchid virus; most were in the 90-99% range, with Physan and isopropanol being largely ineffective. One factor was contact time; in the research, all were assumed to be less ten minutes. No contact time for flaming was provided, and there are wide range of approaches, from flaming metal cutting surfaces to red hot to casually passing blades through a flame. While it would be excellent to have a more detailed study, these findings were certainly sufficient to have us rethink our orchid virus disinfection protocols. Although it may be possible to debate the details of each method, it certainly appeared that we were only in the 90-99% range for orchid virus disinfection. For our orchid growing, that’s not good enough! I’d like my cutting tools to be 100% free of orchid viruses when I work on any plant. We take orchid viruses very seriously at AEO and have tested our entire collection for CymMV and ORSV; learn more in this article! Orchid viruses are exceptionally tenacious when it comes to persisting in the environment, and hence, extra effort required to reach 100% deactivation of ALL virus particles. Initially, I was interested in the possibility of using ultraviolet (UV) light as part of our orchid virus disinfection (and general sanitation) protocol. It is widely used in laboratories, ambulances, and spa/medical sterilization. With a little investigation, I realized the unique nature of plant viruses compared to common human pathogens. 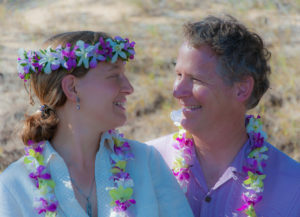 A table of UV irradiation dosages has been compiled for several dozen common pathogens. For reference, the UV irradiation dosage to reach 99% disinfection of common bacteria is 3,500-22,000 µWs/cm2. Anthrax spores were a notable high of 46,200 µWs/cm2. Influenza and polio required a UV dosage of 6,600 µWs/cm2 for 99% kill. Included on the list is Tobacco Mosaic Virus (TMV). CymMV is part of the TMV family of viruses. We can draw similar assumptions for the closely related CymMV. Remarkably, TMV requires a dosage of 440,000 µWs/cm2 for 99% disinfection — nearly 10x that of anthrax spores and 100x that of common bacteria. The only pathogens with a comparable level of required UV dosage were a few types of mold, including Aspergillus niger and Risopus nigricans. Suffice to say, the requirements for disinfection of orchid viruses are in a league of their own, far greater than for any other pathogens that we might commonly encounter in our home and work environments. Based upon the available research, Dr. Klausing recommended a two step process for 100% orchid virus disinfection of tools. The first step is “cleaning” at elevated pH and the second step involves the oxidation of the virus RNA. For the first step, he suggests using full strength bleach at elevated pH, saturated TSP, or 1M NaOH. For the second step, he suggests using bleach at natural pH or Virkon S. In his protocol, he sprays his tools 1M NaOH and Virkon S, and allows them to hang on a rack for each stage for a minimum of five minutes, alternating with a water rinse between stages. 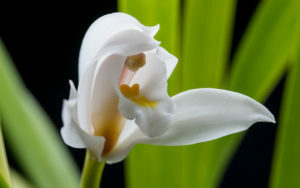 Many of our orchids are indoors, and spraying lye or bleach around our bathroom isn’t very practical. 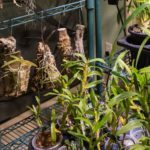 We also often do a lot of orchid mounting and repotting in the evenings, on our “indoor potting bench,” a.k.a. a spare table with a bright overhead light. So we needed a way to be able expediently disinfect our tools indoors. My solution? I purchased a deep plastic wash basin and six 500ml glass beakers (see top photo). Instead of spraying, I soak the shears in the beakers. First, I soak the shears in 1M NaOH, for five minutes (or more). 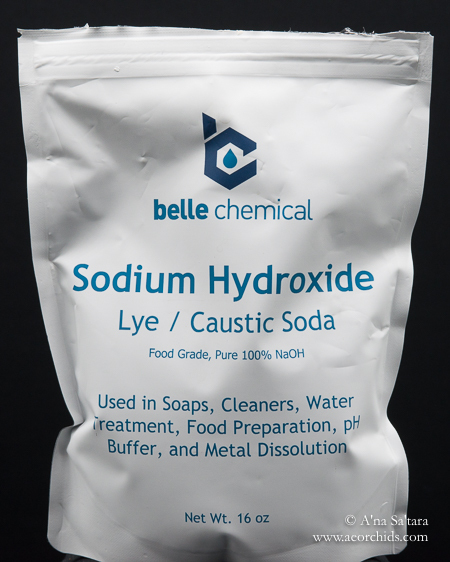 A one molar solution (1M) of NaOH is produced by dissolving NaOH (lye) granules at a concentration of 40g/1L. 300mL of solution adequately covers my shears. I purchased a one pound bag of food-grade lye and weigh the appropriate quantity with a small kitchen scale. Next, I dip the shears in a beaker of plain water. They are then immersed in a 2% solution of Virkon S disinfectant for another five minutes. 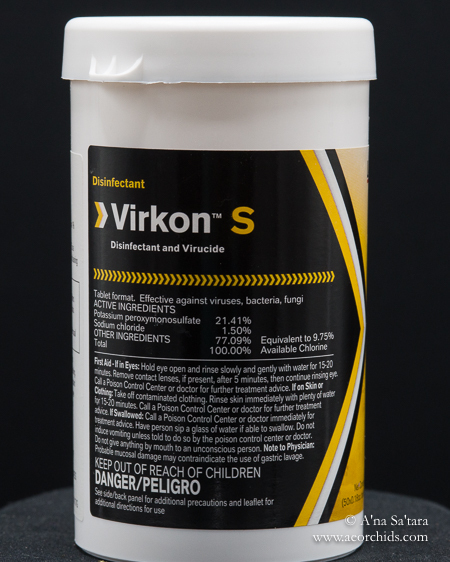 Virkon S is widely used in agriculture and veterinary applications, and available in small to enormous quantities (think washing down a dairy operation). The more you buy, the cheaper it gets. However, you can buy a small container of pre-measured tablets for about $20, which lasts me for about 6-8 months. One tablet in 250mL of water produces a 2% solution. The solution lasts 1-2 weeks, fading from bright yellow. I replace the solution at least bi-weekly, or just before a large repotting project. Finally, I dip the shears in water again to rinse, and place them in a beaker to dry. Unlike flaming, I have not noticed any degradation of the blade or rusting from the NaOH and Virkon S disinfection process. There you have it! With one order to Amazon.com for the deep dish basin, beakers, and NaOH, plus the (cheaper) purchase of the Virkon S bottle from an online agriculture supply company, I assembled a 100% orchid virus disinfection station for our cutting tools. Of course, you can use any basin or glass bottles for this purpose. 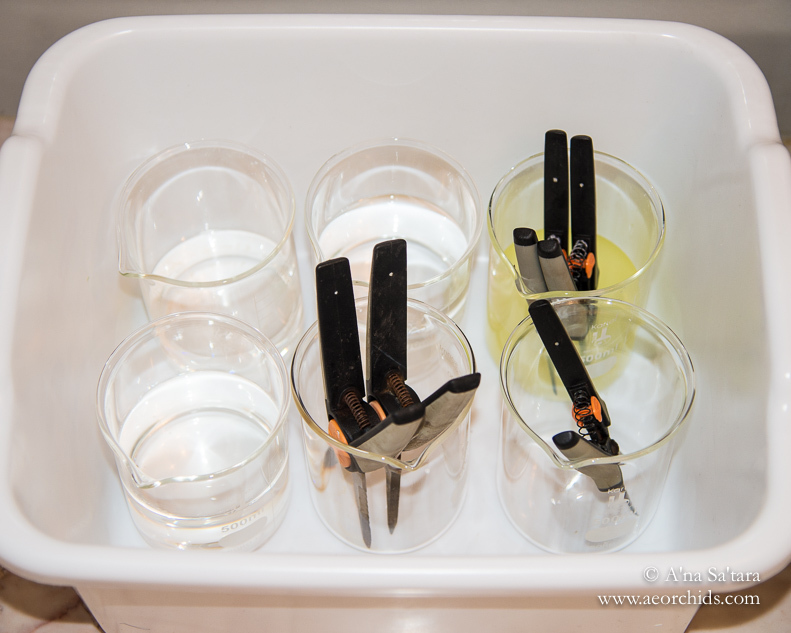 I chose the beakers since they had pre-measured lines for the amount of water to add for the NaOH and Virkon S solutions, and they were the right height for our shears. To create a clean surface for each plant when we repot our orchids, we use a plastic tray lined with heavy duty butcher (freezer) paper. A bulk roll is inexpensive, and my husband pre-cuts the sheets with a paper cutter so we just quickly pull a new sheet for each plant while working. The butcher paper is very durable and resistant to water. We often rinse orchids when repotting and I find that newspaper soaks through layers, becoming inky and potentially distributing pathogens through quite a stack of paper. It is easy to roll up a pile of bark in the (strong) butcher paper, even from a 1-2 gallon cymbidium pot, and dump it into the compost bin fully wrapped up and contained. I do not stack the sheets of butcher paper, but place a new sheet on the bench/tray after the used sheet has been removed. This way, it is assuredly a clean surface for the next plant, a separate layer over the surface of potting bench. We disinfect the surface of the outdoor potting bench and indoor plastic tray with 100% bleach, after washing away any particulate matter. Our outdoor potting bench is homemade with a galvanized wire mesh top on a wood frame — no problems with using water and bleach to thoroughly disinfect the metal mesh at least after each day of use, or, if necessary, after handling a diseased orchid. We soak our plastic pots in a 50% bleach solution for 2-3 days, after thoroughly removing any organic matter. While the one step process for using bleach to disinfect cutting tools was found to be less than 100% effective for eliminating viruses, allowing the pots to soak for an extended period of time compensates. I hope that this review of orchid virus disinfection, and the convenient — and effective — process that we use will assist you in upgrading your virus disinfection methods. While most orchid growers are focused on the widely recognized CymMV and ORSV, there are at least 17 different viral pathogens known to infect orchids. Also, a good orchid virus disinfection procedure should minimize or eliminate the transmission of other orchid pathogens, such as bacteria and fungus. There is nothing to lose and much to gain from 100% effective virus disinfection practices!